Inoubliable Model Army's perennial favourite Liya Kebede appears in a magical editorial set in the jungles of Costa Rica for the June/July 2013 issue of W. Kebede, ever the class act, poses for photographer Mikael Jansson as a cast away in dual editorials appearing alongside model of the moment Joan Smalls. Kebede poses perched atop the sturdy tree branches sporting a bowl style wig which accentuates her exquisite bone structure and immaculate rich skin tone. 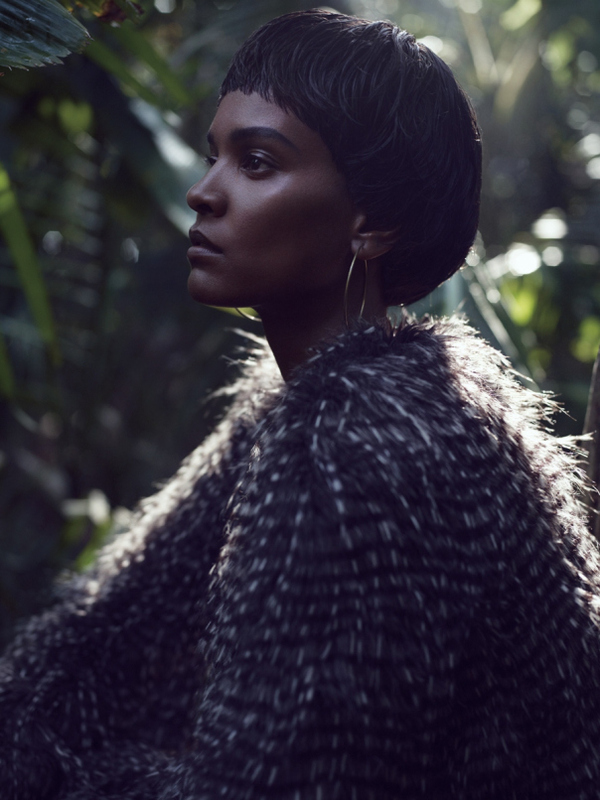 Fashion director Edward Enninful weaves a magical tale with Kebede decked out in pieces embellished with sequins, plumes, and fur from the Fall/Winter 2013 collections of Prada, Rodarte, Emporio Armani, Christopher Kane, Proenza Schouler, and Marni. Kebede exudes a peaceful tranquility and grace that fits perfectly with the stillness of the natural habitat of the Costa Rican landscape. With over a decade of modelling experience under her lithe belt, thirty-five year old Kebede continues to enchant photographers, fashion editors, and designers with a beguiling presence that precedes her incredulous and timeless beauty.